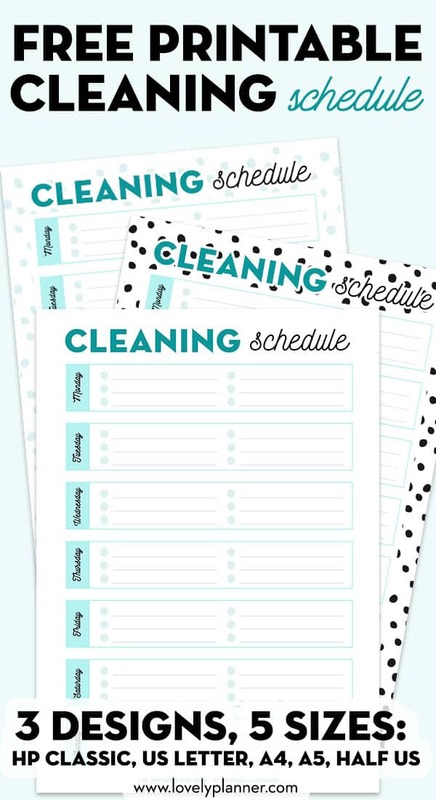 I’m happy to share with you this free printable cleaning schedule to help you keep your home clean and organized at all times. This weekly schedule helps you spread your cleaning tasks throughout the week so that your home always stays clean and in order. This also helps you balance your tasks so that you don’t end up having to do most of the cleaning on your day off and feel overwhelmed on “cleaning day” and unsatisfied the rest of the week. 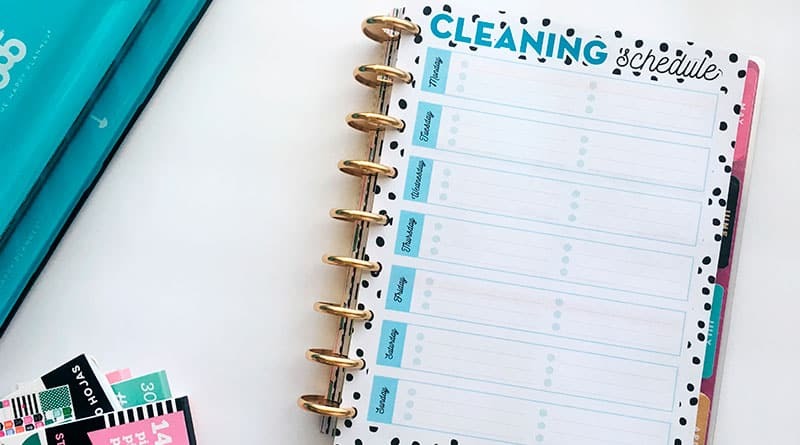 Plus, creating a cleaning schedule can help you get into a positive routine that will quickly become a habit and make cleaning become more effortless and manageable. You could also decide to use that free printable cleaning schedule occasionally for bigger tasks. Let’s say you’re planning to clean and reorganize your garage: breaking it down into 7 days with manageable chunks of tasks can make the mission less daunting. If your cleaning schedule is likely to change every week you may want to use a laminator machine to laminate this sheet to make it wipeable and reusable (these non permanent markers are great for that, they don’t transfer and are easily wipeable). 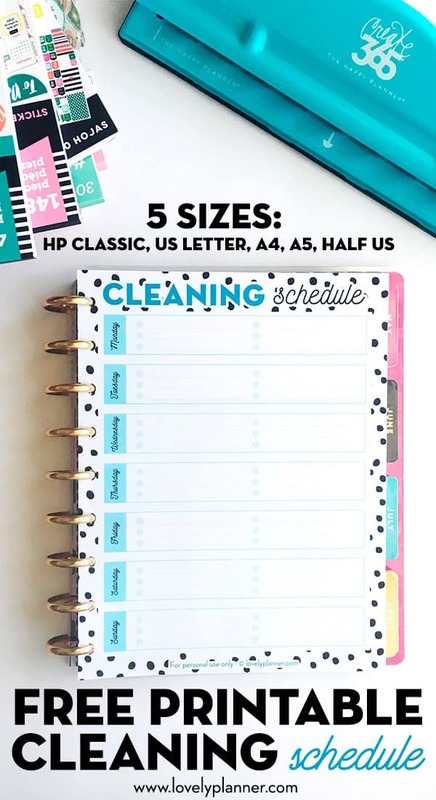 I created this printable cleaning schedule in 3 different designs (3 different backgrounds: blank, black dots, light blue dots). 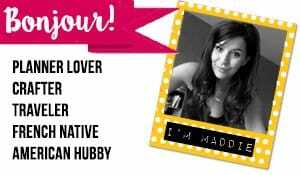 and Half US letter (download US letter and select Half US letter in your printer paper size settings). 7 boxes (1 per day of the week) with 6 bullet points/check boxes per day to write down your cleaning tasks.